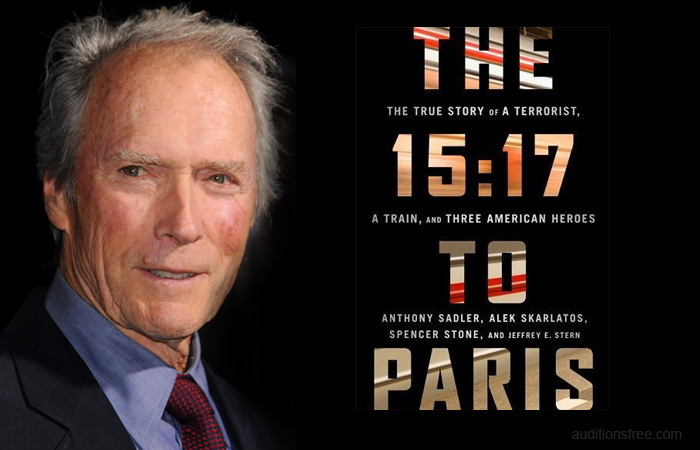 Home / Movies / Production Begins on Clint Eastwood's "The 15:17 to Paris"
Production Begins on Clint Eastwood's "The 15:17 to Paris"
BURBANK, CA, July 11, 2017 – Production is underway this week on Clint Eastwood’s “The 15:17 to Paris.” The film tells the real-life story of three men whose brave act turned them into heroes during a highspeed railway ride. 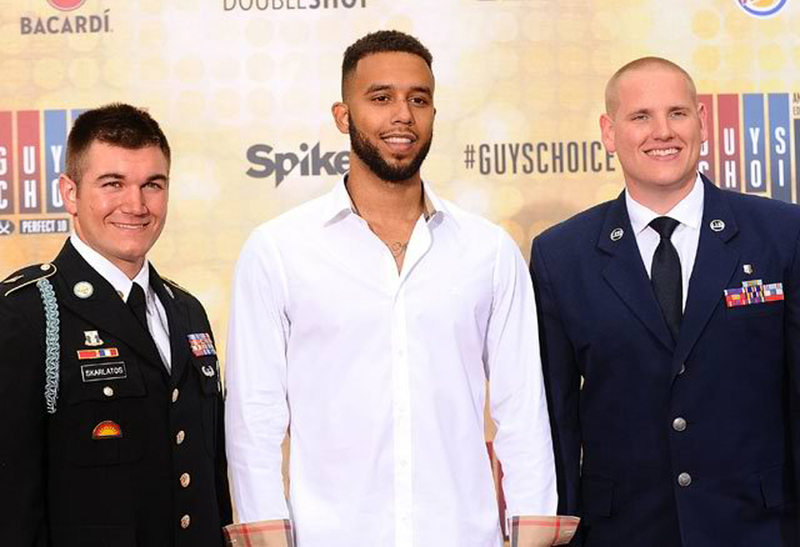 The heroic trio is comprised of Anthony Sadler, Oregon National Guardsman Alek Skarlatos, and U.S. Air Force Airman First Class Spencer Stone, who play themselves in the film. Starring alongside them are Jenna Fischer (“Hall Pass,” TV’s “The Office”); Judy Greer (“War for the Planet of the Apes”); and Ray Corasani (TV’s upcoming “The Long Road Home”). Paul-Mikél Williams plays the younger Anthony; Max Ivutin and Bryce Gheisar each play younger versions of Alek; and Cole Eichenberger and William Jennings take on the role of the younger Spencer‬. Eastwood (“Sully,” “American Sniper”) directs from a screenplay by Dorothy Blyskal, based on the book The 15:17 to Paris: The True Story of a Terrorist, a Train, and Three American Heroes by Anthony Sadler, Alek Skarlatos, Spencer Stone and Jeffrey E. Stern. Eastwood also produces the film, along with Tim Moore, Kristina Rivera and Jessica Meier. The film’s executive producer is Bruce Berman. Behind the scenes, the creative team includes frequent collaborators Tom Stern, who served as cinematographer on 13 of Eastwood’s previous films; Deborah Hopper, who has served as Eastwood’s costume designer on 17 prior films; and Blu Murray, who most recently cut “Sully.” Veteran art director Kevin Ishioka, whose work can be seen in “Sully” and in this month’s “Dunkirk,” serves as production designer.